It is important to keep your database organised and avoid double data entries. This tutorial will show you how to merge companies or contacts that have been stored multiple times in your System One database. Go to the detail view of the company or contact that you wish to merge. 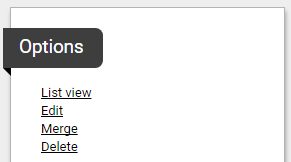 On the right side of the page in the Options menu, you'll find the Merge button. After selecting the Merge button, a dialog will appear. In this dialog you can use the selection tool to search for the double occurrence of the company you want to merge. 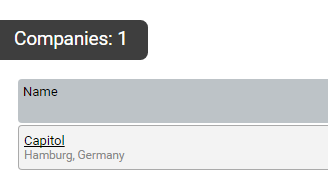 After selecting the name of this second company, a detailed overview of both companies is shown in 2 columns. 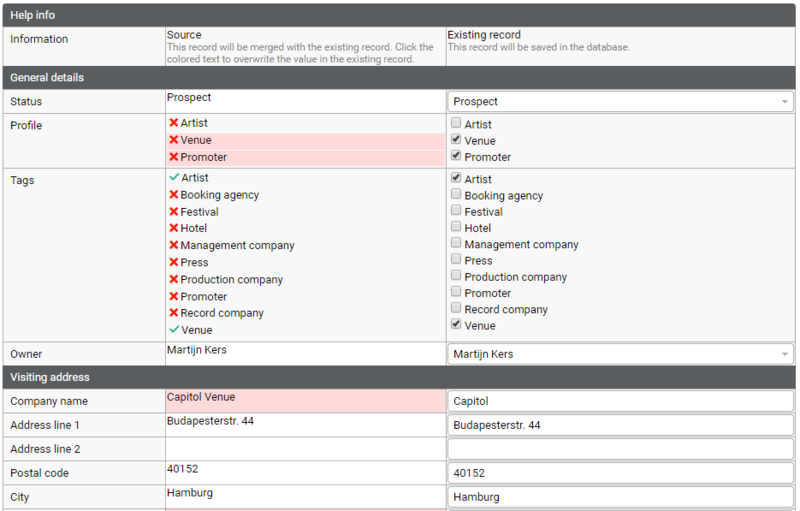 in this page you can decide which information you want to keep by clicking on the red fields in the left column to overwrite the entry in the existing record in the right column. When you are done select the Save button. Both companies are now merged. Any bookings or documents that were linked to the 2 separate company records are now all linked to the saved record.